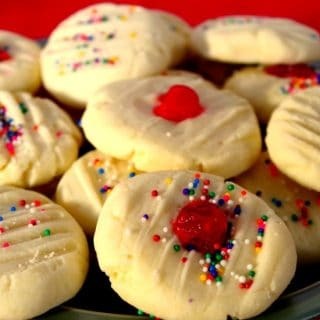 This is my absolute favorite rolled sugar cookie recipe, especially for decorated cookies because it really is NO FAIL! They actually stay in the exact shape you cut them in! This makes decorating a snap because you can cut the exact same shape out of fondant and it will fit perfectly! 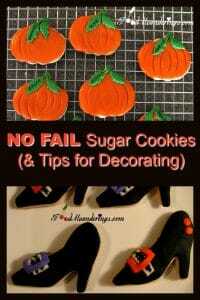 If you are planning on decorating Halloween sugar cookies or ANY cookies over the upcoming holiday season, this is the recipe to use. 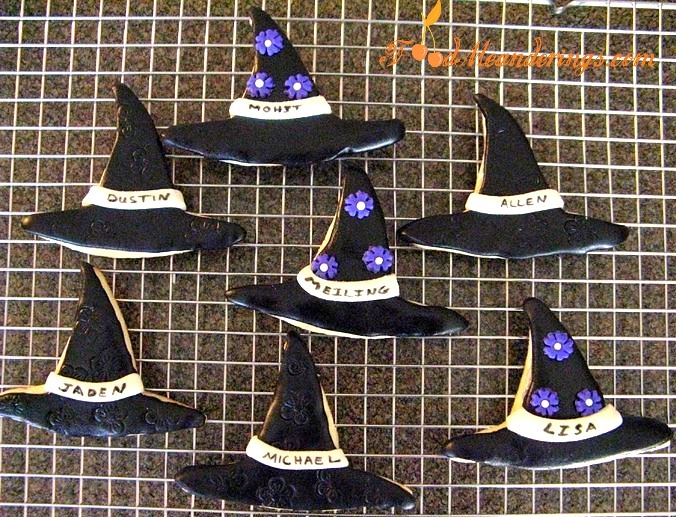 And if you are looking for Halloween cookie decorating ideas, I’ve got you covered with these pumpkin, witch hat and witch shoe cookies. These easy sugar cookies are completely NO FAIL, hold their shape really well, do not spread and taste great! 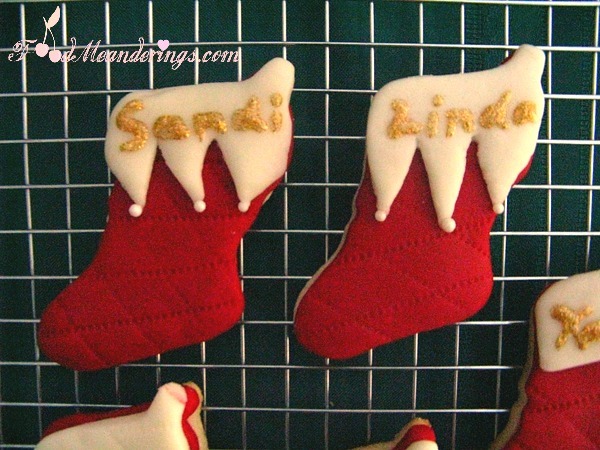 If you are like me and have always struggled with the painful process of outlining and flooding in royal icing cookie decorating, you will LOVE this cookie decorating technique! 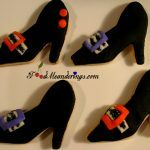 These sugar cookies are also excellent for Halloween parties, as they are sturdy, won’t break en route, but they have a nice, soft texture. 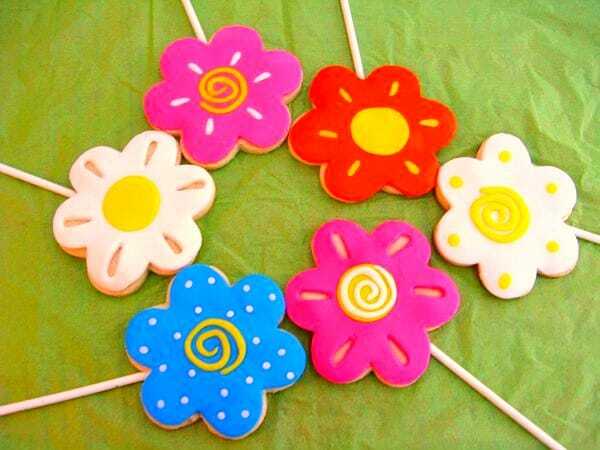 You can even personalize them for kids’ parties. 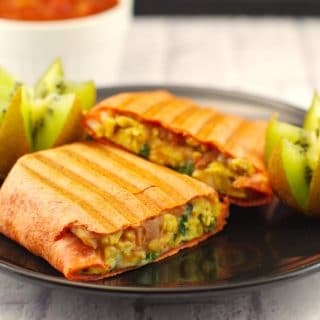 But they are not just for kids! I have made them for adult holiday parties as well. Add a little “Princess Cake and Cookie emulsion” and elevate the flavour of this sugar cookie to new level. To mix things up, I will also add it to my fondant instead (all you do is knead it in). You can use a variety of tools to do simple decorations, including many things you find around your house! I used a small leaf cutter and edible marker to write the kids’ names. I used small pieces of colored fondant for the rest of the accents. Decorating cookies with royal icing takes A LOT of practice. Even I’m not all that fond of it. 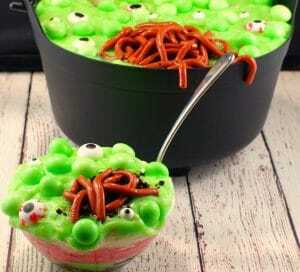 So, if all the flooding and outlining involved in the royal icing technique seems overwhelming, give fondant a try with one of these Halloween cookies. I can guarantee that it’s easier than rolling out a pie crust and so easy to apply. Just follow my simple tips. Leave it to dry a little, for 15 minutes or so (this will help with the transfer to the cookie). This no fail sugar cookie won't spread, tastes amazing and is simple to make. Because it holds its shape, it's easy to decorate with fondant. Add eggs and vanilla/flavouring. Mix well. Mix flour, salt and baking powder together. Add dry ingredients a little at a time to butter mixture. Mix at low speed until flour is completely incorporated and the dough comes together. Chill for 1 hour in fridge. Roll our onto floured surface and cut into desired thickness and cut into desired shapes. Bake on ungreased baking sheet at 350 degrees F (176 C) for 8 to 10 minutes or until just beginning to turn brown around the edges. 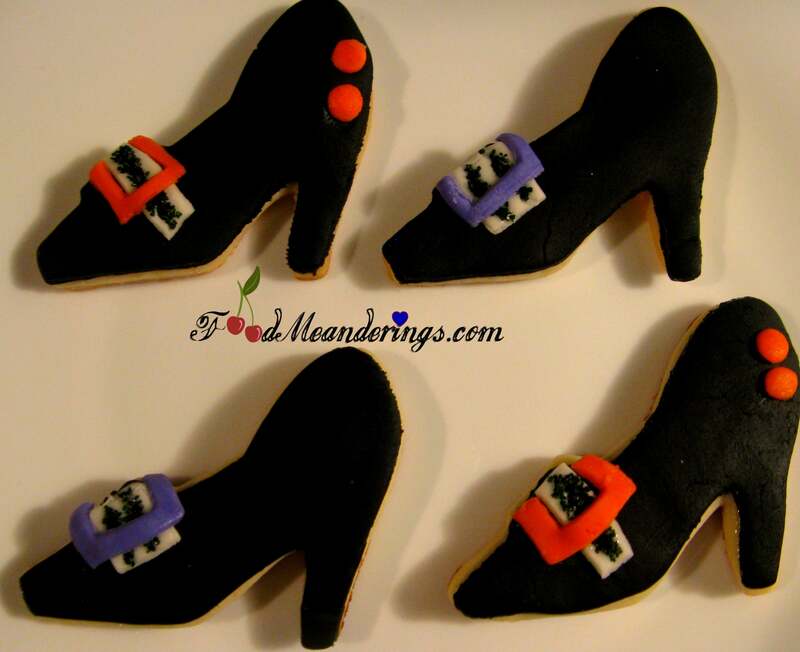 These are some professional cookies! 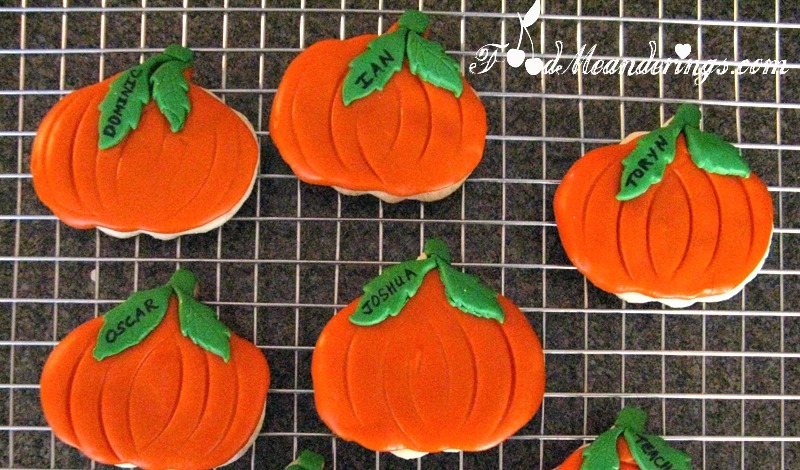 I really like the detail of the names on the pumpkin leaves. Great decorating! Thank you! I am a lot better at fondant than royal icing- so much easier!